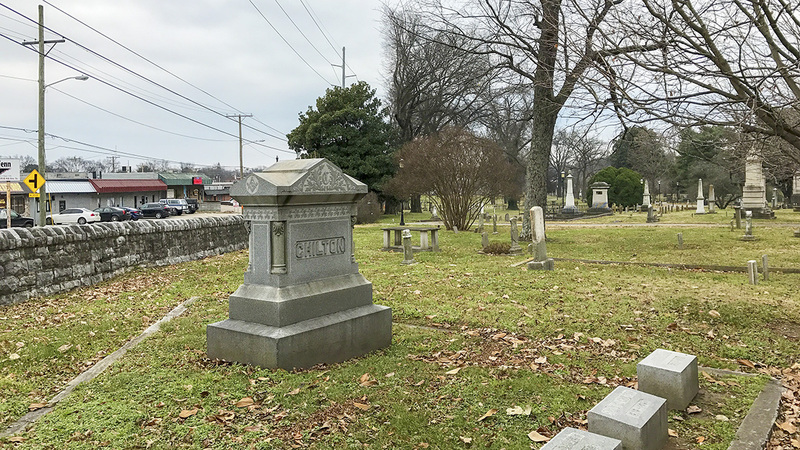 Situated adjacent to Fort Negley, this burial ground is the oldest continuously operated public cemetery in Nashville. Established in 1822, the original site, laid out by Alpha Kingsley, encompassed four acres acquired by the city from the wealthy planter Richard Cross. By 1836 the burial ground had far exceeded its capacity, and additional land was soon acquired, expanding the plot to 27 acres. The newer section was formally designed by Kingsley in 1843 at the height of the rural cemetery movement, with the landscape parsed into family plots crossed by a grid of carriageways, resulting in a park-like setting. 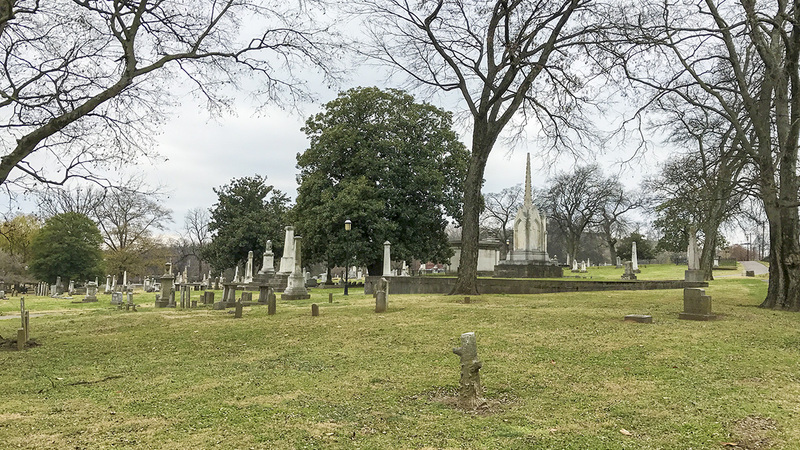 In 1849 five acres of the property were sold to the Catholic Diocese of Tennessee for the purpose of internments, but with the planned construction of the Nashville Chattanooga and St. Louis Railway through that section, burials were discontinued, and the remains were moved to Calvary Cemetery on Nashville’s Lebanon Road. 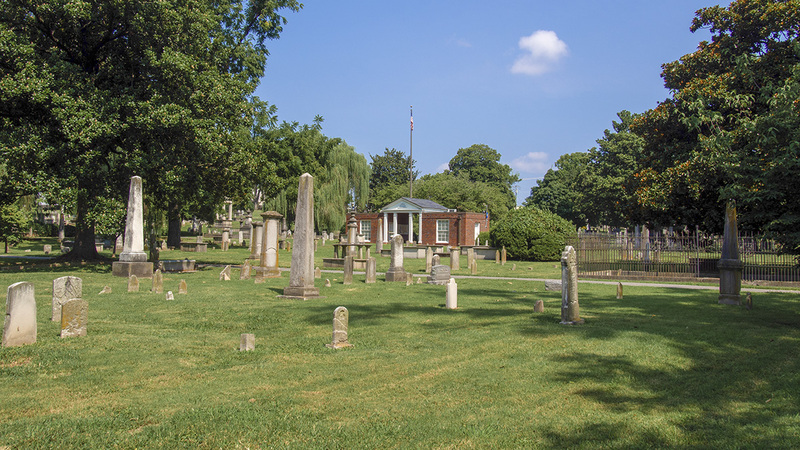 Bounded by Oak Street to the northeast, the Crystal Springs Water complex to the south, Fourth Avenue to the east, and the railroad to the southwest, the roughly rectangular property contains more than 23,000 graves and retains much of its original design. 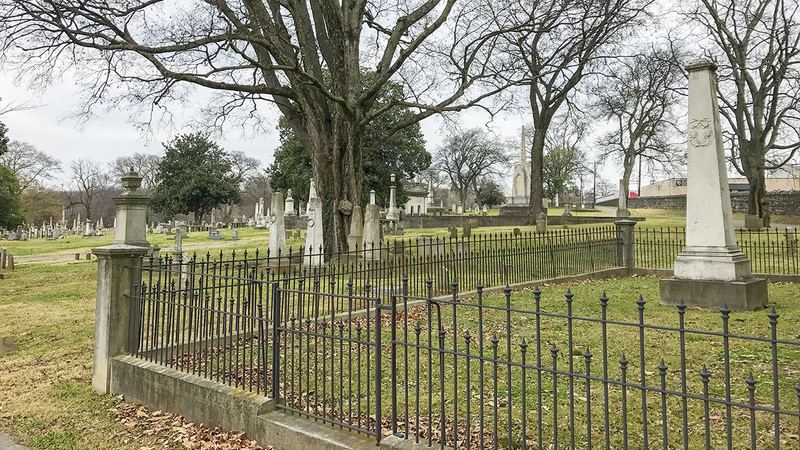 The cemetery is enclosed by a metal fence on the south and west, while a four-foot-high stone wall (ca. 1908) runs along its eastern and northern perimeter. The wall is punctuated by a stone entrance gate to the northeast, designed by Major Eugene Lewis. 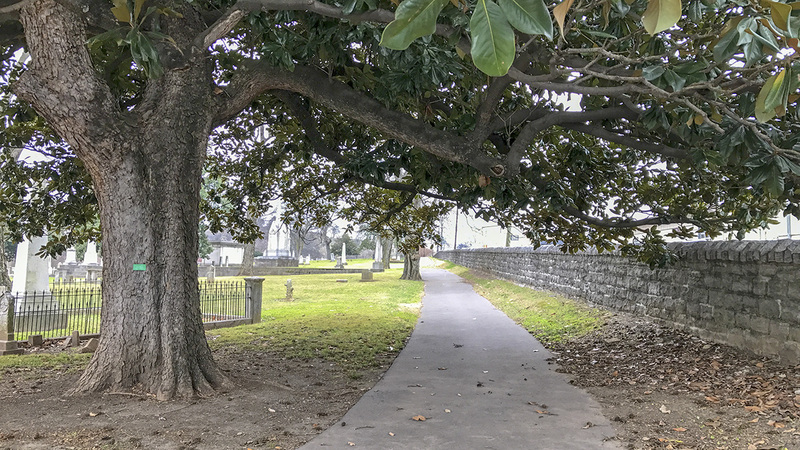 At the center of the cemetery lies a brick structure built in 1947 by Edwin Keeble, which held interment records, deeds, and lot plans until the 1970s. 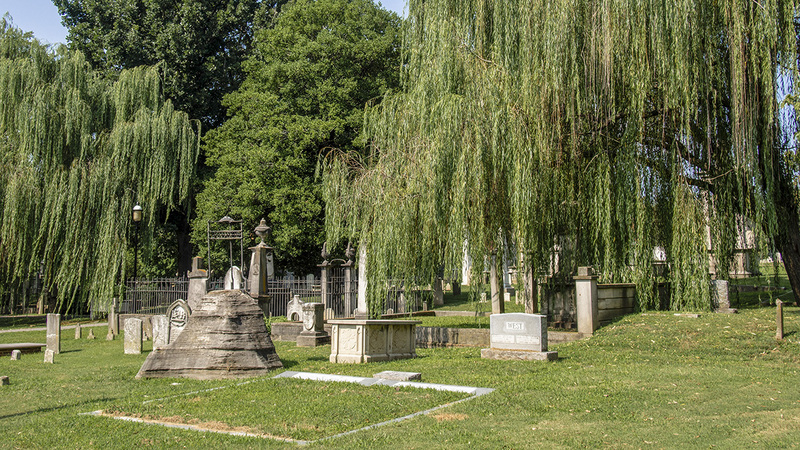 Dotted with more than 300 trees, including magnolias, sassafras, and oaks, the cemetery was designated an arboretum by the Nashville Tree Foundation in 2013. 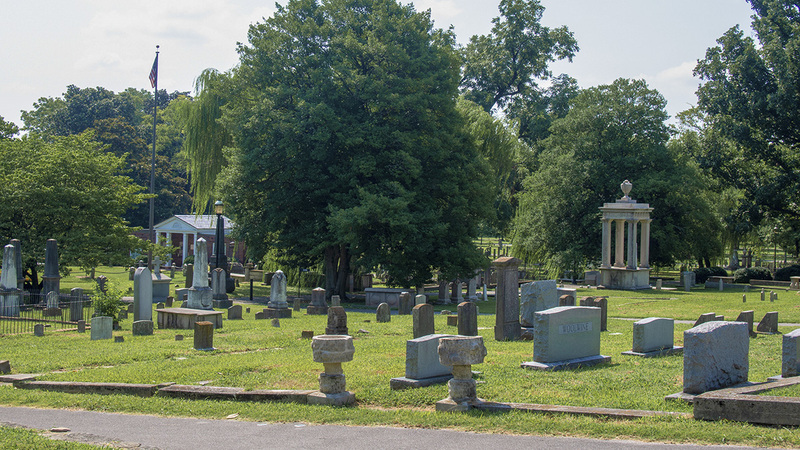 Its historic gardens reflect a planting palette of materials available from the 1860s, including blue iris, sedums, day lily, marigold, and asters set among the limestone and marble grave markers that mark the gently sloping topography. 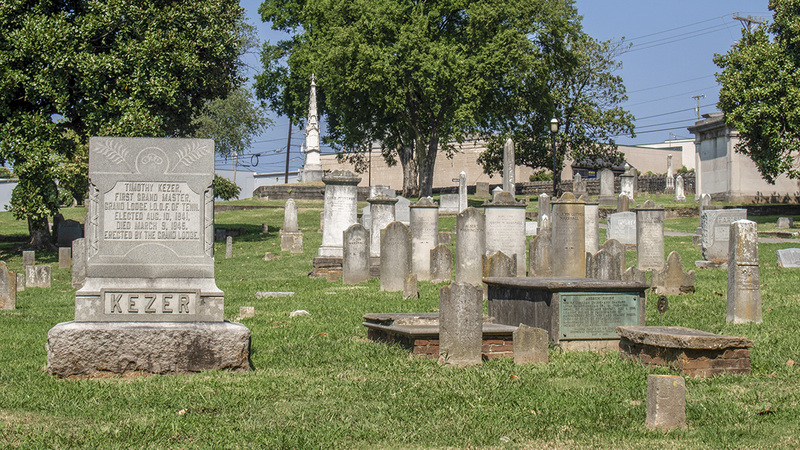 The Nashville City Cemetery was listed in the National Register of Historic Places in 1972.